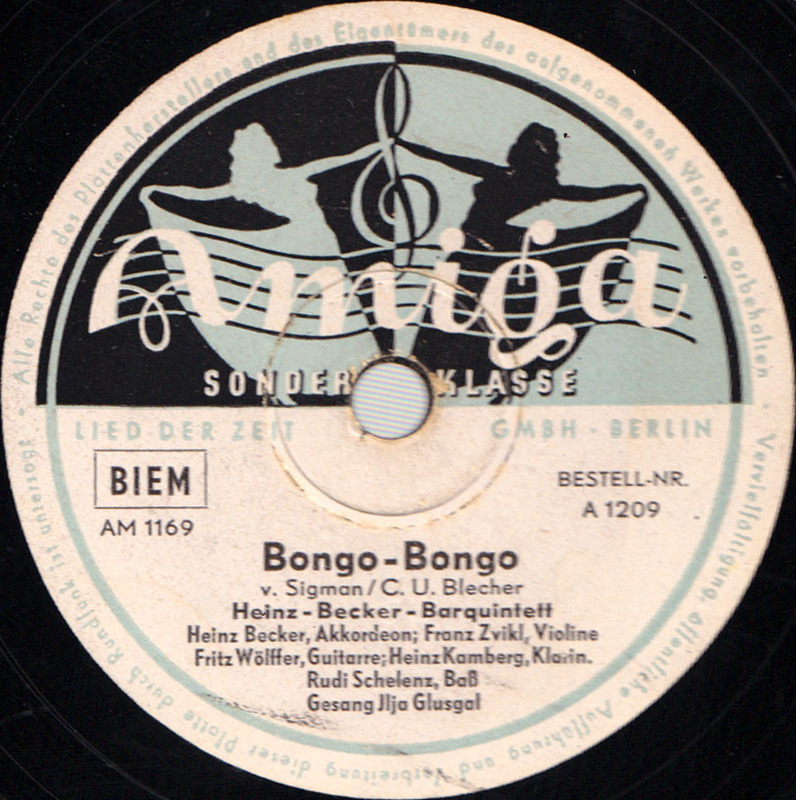 Bongo-Bongo is a German cover version of Civilization made famous by the Andrews Sisters and Louis Prima. I posted a rock´n´roll version of that song from 1961 by the Belgian group Sam and the Saxtones in January here. 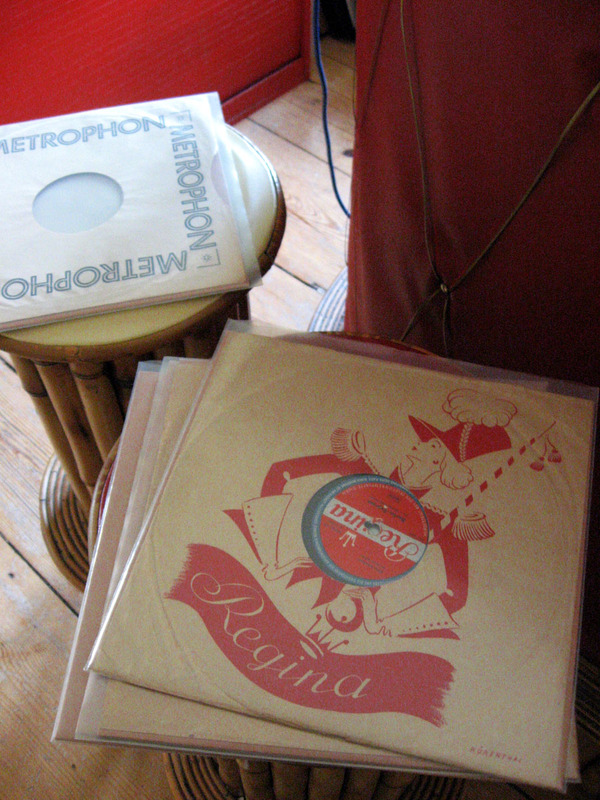 This is a East-German release on the Amiga label but the same recordings might have also been released in the Western part of Berlin. 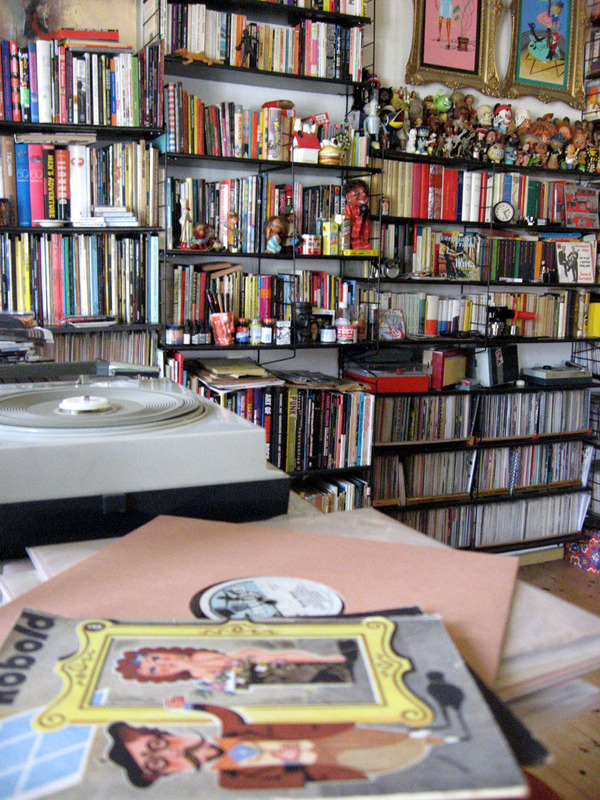 In the 40´s a lot of artists had their records released on both sides. The label lists the musicians of the Heinz-Becker-Barquintet as: Heinz Becker, accordeon; Franz Zvikl, violin; Fritz Wölffer, guitar; Heinz Kamberg, clarinet; Rudi Schelenz, bass and Ilja Glusgal on vocals. 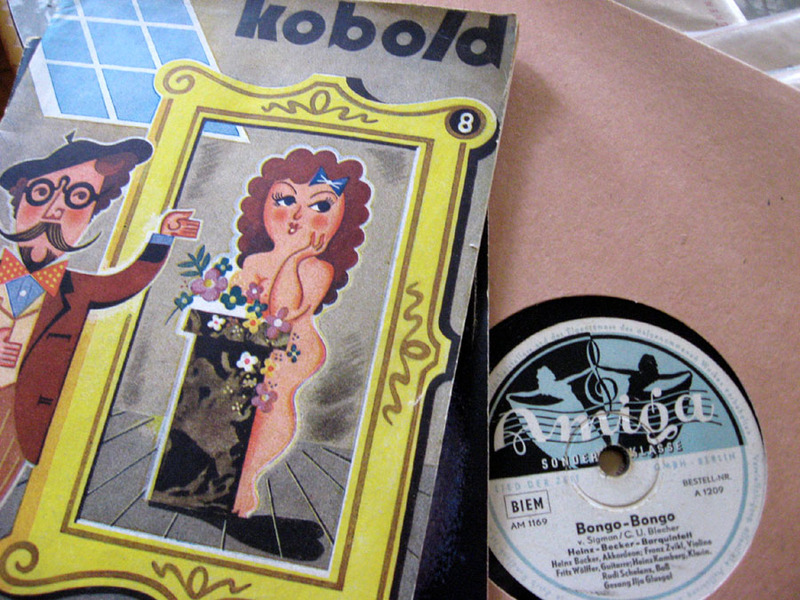 The same Fritz Wölffer recorded a nice Shadows/Jorgen Ingman-style instrumental 45 for the obscure local Berlin Date label in the early 60´s that I posted two years ago here. Nothing further to be found about Fritz Wölffer at all. The German lyrics leave most of the satirical content and the natives in the jungle methaphors of the original intact and are quite amusing. Bully Buhlan also recorded a version of Bongo-Bongo, see Youtube here and Ilja Glugal also recorded an English language version of the same song that you can see on YouTube here, but I think it´s weaker. Somebody else beat me in posting this German version of Bongo-Bongo on YouTube but he doesn´t want anybody to embed the video so you have to go there. I love your site! Haette aber lieber mehr von deiner Wohnug gesehen. Von hier im fernen San Francisco aus sit alles worueber du berichtest so sehr exotisch und das eine Foto vom grossen Wandregal erweckt meine Neugierde total. Keep up the good work!